If you run into Caro Bayley Bosca, be sure to ask her about her experiences in the WASP and about flying a Piper Cub Supercruiser to 30,023 feet. That’s right, she took a Cub to over thirty thousand feet in 1951. But in case you don’t get a chance to meet her, I’ll tell you a little something about her. To celebrate her graduation from college, Caro’s Dad paid for her flight training because he knew she had a “yearning to fly.” Caro worked in the message office at Patterson Field and built up her flight time and experience. When Jacqueline Cochran began training women for the Women Airforce Service Pilots (WASP), Caro says, “I couldn’t believe my luck!” Part of her motivation to join the WASP came “in wanting to do something for the war effort. If I had not loved flying so, I would have done something else for the war effort. 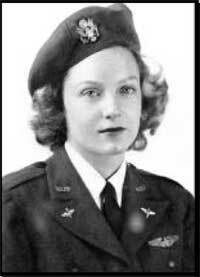 Since this program opened up I would have volunteered for free!” Caro became part of class 43-W-7 and trained with her fellow WASP in Sweetwater, Texas. After graduating from WASP training, Caro went with twenty other women from 43-7 to Mather Field in Sacramento for B-25 school. She remembers, “We all got along fine and it was good training and experience.” From Mather, Caro and nine others headed to El Paso, Texas “to work with the tow target squadron working with the radar school at Ft. Bliss.” They carried out a variety of duties in a number of different planes. “We had radar tracking (lots of it), search light tracking simulation strafing, gassing, non-flying personnel flights (observing), and some sleeve towing.” Each mission called for a different plane and they flew everything from the Douglas Dauntless (SBD and A24), and Curtis Helldiver (SB2C and A-25), to the Republic Thunderbolt (P-47). The P47 was their first pursuit plane. The day that Caro was supposed to fly it for the first time she had bursitis in her shoulder so bad she couldn’t do her hair, but when she went to breakfast and was asked how her shoulder was she said, “Just fine, just fine,” because she didn’t want to give up her turn to fly. I was talking with a friend at dinner last night and she told me that another friend of ours hosts a family reunion at her place in the mountains that is so huge, she has to rent port-a-potties. Suddenly my 20 person gig seems tiny. When everyone was here though, from Thursday to Sunday, it sure didn’t feel tiny. And in the days preceding when I was filling tiki torches and repainting my Adirondack chairs and grocery shopping, grocery shopping, grocery shopping, it sure didn’t feel like a tiny thing. And when I went upstairs just before they arrived and realized that my son’s version of making his room ready for guests looked rather different from mine (which narrowly includes a path to the bed and the sheets that aren’t torn), and I had to remake his bed and throw scads of stuff in the closet, it didn’t seem tiny. But as I told my aunt, who was sympathizing with all the work it required of the host, it’s a labor of love and besides, I’d much rather host it than travel to it. I’m a homegirl in the more boring sense of the word; I do hate traveling. So you spend your money and time on getting here, and I’ll spend mine on making something worth coming too. And I’ll do it again over winter holiday and next summer too and as long as people keep coming. I’m looking forward to grandbabies joining the mix at some point. I’m getting better at hosting these gatherings; it’s a bit of science and bit of art, really. I did organize it to within an inch of its life so I did not in fact spend gobs of time in the kitchen away from the fam, which was my primary goal. I spent a bunch of time outside, talking over 3 hours of coffee (half-caff) each morning and looking at magazines and sweating a lot but swimming a lot too. And I did manage to feed everyone well and plentifully. My sister tells me I’m a hard one to help in the kitchen but of course I don’t see it that way—if you let me be the boss, I tell her, and just do everything exactly the way I like it, then I’m a dream to help in the kitchen. You may be surprised to hear that the time I do spend in the kitchen—anytime of year—is usually spent solo. What can I say, the details matter to me. Our family is matriarchal. The women pretty much run everything and the men go along with it. I’m never quite sure if they do so willingly or not but I guess can live with either. I enjoyed the sweet fragrance of estrogen in the air for several days, and miss it now. My coffee Monday morning before work was neither 3 hours long (nor 2 nor 1 even), nor was it graced with the voices of my mother and my aunts and it felt a little sad. I am typing this on my laptop in my backyard and except for the chirp of cardinals (which my mother swears is the sound of big fat kiss) and the doleful song of the mourning dove on my roof, the atmosphere is conspicuously silent and empty. Normally I love this, but today it feels melancholy. I miss the women. Even if that means my aunt won’t be up before anyone else in the morning, sweeping the floor and knocking the broom against the table legs resulting in her not being the only one up for long. And I miss the deep laughter of my other aunt and her interest in what my son reads. And I miss my mother’s and my sisters’ fondness for turning even the most dour moments into comedic ones. So I mediate the melancholy by beginning to plan our winter holiday gathering in December. Here’s the plan. A low-stress, low-activity Christmas Day. No cooking. No dressing up. In fact, no getting ready at all—we’re all gathering in our pajamas. And we’re all cooking dinner for our own families on Christmas Eve and bringing leftovers to our gathering the next day. Leftovers and PJs. Now that’s a plan. The Unavailable Father – Dr. Sarah Simms Rosenthal, Ph.D.
“Some fathers seem to be incapable of giving their daughters the affection and unconditional approval they must have to develop healthy, positive self-concepts.” from The Unavailable Father by Dr. Sarah Simms Rosenthal. It is a fortunate woman who has a father that is available, a great deal of women deal with the complete opposite. In one way or another they deal with an unavailable father. This could be their own father, step-father, other father figure or the father of their children. These fathers may be abusive physically, emotionally, mentally, sexually, be a substance abuser, have disappeared from their daughters lives completely or simply ignore their daughters entirely. 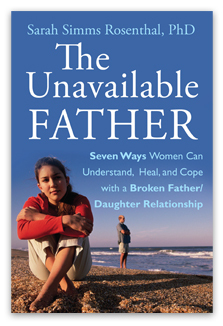 Dr. Sarah Simms Rosenthal explores the six archetypes of unavailable fathers, along with a path towards recovery for the daughters in her book, The Unavailable Father: Seven ways women can understand, heal, and cope with a broken father-daughter relationship. The Unavailable Father is divided into two parts, the first describing the categories of unavailable fathers and the second, beginning the path of recovery. The categories of unavailable fathers are: Disapproving Father, Mentally Ill, Substance Abusing, Abusive, Unreliable and Absent Archetypes were identified after a series of interviews. These categories make it easy for the reader to identify if their father is one of these types. The book also contains an excellent series of questions, that when answered, can also aid in identifying if you have an unavailable father. This gives one a good starting place on the path towards recovery, which is also outlined in the book. The Unavailable Father is a wonderful tool, extremely easy to follow and one can easily identify with the stories that exemplify the situations. The second part describes the seven steps towards recovery. According to Dr. Simms Rosenthal “there is much that you can do to ameliorate the impact of an unavailable father, and taking an active role in striving to overcome the past will certainly improve your mood and outlook on life” Some of these steps include: determine the attitudes and behaviors that you developed back then in order to explain his failures and protect yourself, figure out which of these attitudes and behaviors you have carried into adulthood and recognize how these attitudes and behaviors have limited you in the past and may still be limiting your happiness. Dr. Simms Rosenthal was moved to write this book because of her own personal experience, and of the experiences that many women shared with her. The Unavailable Father has been well received, and many have commented on how it has positively influenced their life. 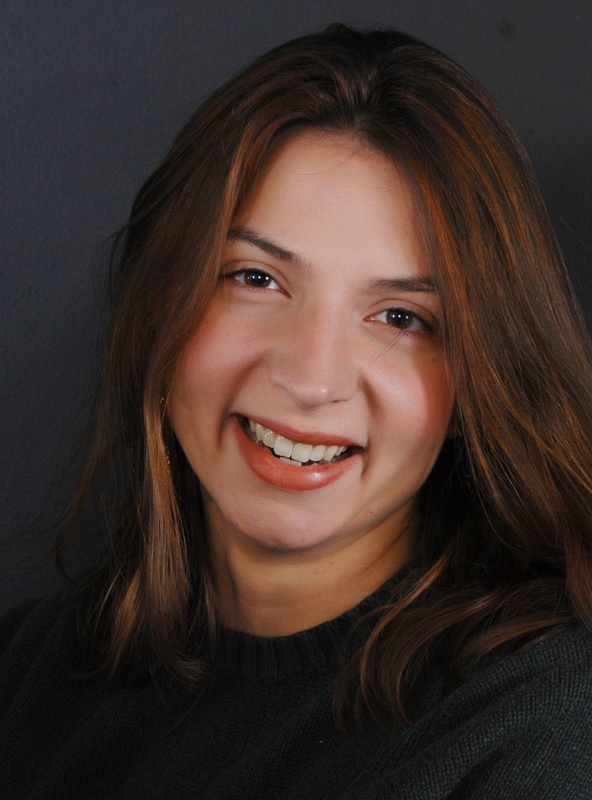 For More Information, please visit Dr. Sarah Simms Rosenthal’s site. My college students will tell you that ambivalence is one of my favorite words. However, I find that ambivalence about motherhood – though I am convinced that the actual feeling is common – is not frequently enough acknowledged. Some of my students have been horrified at the very proposition that a mother could feel anything but constant, unabating joy at everything from mucking the suspicious goo from the corners of the floor to mucking the poo from the corners of their rear-ends; some have been offended at the very supposition that their mothers might not have relished everything that they had to give up for their children – or even that their mothers might feel that they gave up anything at all. But while many students are quick to point the finger at any supposedly Bad Mother that so often appears in literature, popular culture, and what passes for news these days (if those are indeed even distinct categories anymore), I have found that some thoughtful discussion is enough to bring most of them around to a pretty sympathetic stance on the subject. I taught a film and literature course with a theme of Bad Mothers earlier this summer, and within days students were groaning at the prospect of studying yet another merciless and unjust lambast of mothering and sharing examples of such treatment that they had recognized, for the first time, all around them, as must anyone whose eyes have been opened to that phenomenon. Perhaps the reason for my success was that I showed them how no mother is safe from such guilt-inducing portrayals: the stay-at-home mom, who is frequently caricatured as overprotective or seeking to live vicariously through her children; the so-called working mom, who is generally presumed to be selfish or power-hungry; the Jewish mother, who is commonly depicted as emasculating and overzealous; and so on. Consequently, most of them could see some unfairness to their own mothers in such generalizations and thus better recognized the unfairness of all of them – of the very untenable situation that they create for mothers. Whatever we do, whatever our intentions, someone, somewhere, will find some way to cast aspersions on our actions or on the results of them, implying or outright accusing us of being Bad Mothers. Often that someone is ourselves or someone close to us – mothers, fathers, partners, in-laws, siblings, neighbors, our children’s friends’ parents … not least of all, our children themselves. During one of our frequent telephone conversations, my mother recently mentioned, only half in jest, that she believes that most children do not really respect their parents’ ideas until they are at least 25 years old. Yet my 18- to 23-year-old students are often the staunchest defenders of their mothers. Whatever type of mother their own was, they are likely to defend that choice (whether or not it actually was a choice) as the ideal one. Of course, there are a few students who upbraid their parents as abusive, which must be true sometimes. Yet I think that many mothers would be surprised to hear the glowing descriptions of them that their college-age children give in my classroom. Or at least mine certainly would, apparently. Of course, recognizing that these mothers might have felt ambivalence about these choices/roles perhaps tarnishes the romance, but I think that that recognition is important all the same. I hesitate to argue anything based on the ubiquitous best interests of the children – they so often seem to demand the eradication of mothers’ own interests and even individuality, separate from their children, in this day and age – but do we really want that for our children? Do we want our daughters to feel misled and shortchanged when they realize that, even if they can have it all, they cannot have it all at once, or they can only have it all if they are willing to find themselves endlessly torn and dispersed among those disparate interests? Do we want our children to feel that they must forgo having children of their own in order to follow their (other) dreams? Do we want them to think that they are the only people in the world who have felt murderous anger or hopeless frustration when they cannot get a moment’s peace even merely to clear their minds, or when that baby wakes up again in the middle of the night and they have not gotten more than a few hours of sleep at a stretch in months, or when all perspective is lost and it just seems – as it occasionally does – that everything is out of control and going wrong? I cringe when I see friends post Facebook status updates such as, “Of course the baby woke up as soon as all the other children were asleep – but I love it!” or hear women justify going out and leaving a young child with a sitter “because it will make me a better mother tomorrow” – as though that is the only justification for a grown woman to go out for an evening! I wonder if that is what they really, truly feel. Do they even know themselves? Or are they just better mothers than I? Instead, I try to resist the impulse to hide my needs or wishes or feelings in service of some ridiculous ideal of motherhood that, I believe, serves no one. Sometimes, my son drives me absolutely nuts and I want nothing more than to be away from him for a while – but of course I would never want to be completely rid of him, and, for the vast majority of mothers out there, that should go without saying. And yet even the suggestion that a mother might feel that way probably provokes an involuntary feeling of horror and disapproval, even in the most disciplined feminist mothering studies scholar. Or it does in me, at least. We must resist. Motherhood inevitably involves feelings of ambivalence … but perhaps acknowledging as much will actually mitigate it. It is okay to want to get in the car and just keep driving sometimes. We all feel that way occasionally. But if you have never actually done it – at least, not without all sorts of arrangements of various degrees of complication ahead of time – then you do not have to feel guilty for thinking it, for considering it, even, on top of everything else that you already have to worry about as a mother in this world today. The vast majority of us never need worry about being Bad Mothers. Both we and our children would likely be happier if we recognized that.